1. Decide on your color. We offer 5 fantastic colors for you to choose from! 2. Decide on your wall. Add some pizzazz to your favorite room in your apartment! 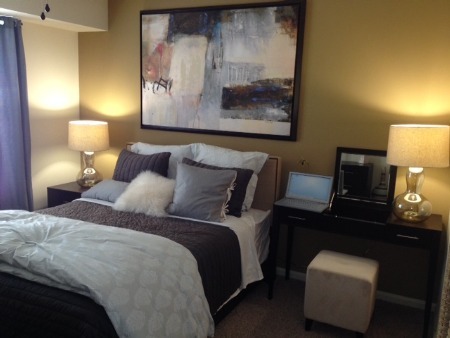 Our professional painter will have your Feature Wall looking fabulous for you on move in day. No mess or hassle for you in this amazing offer! *See leasing office for any restrictions and limitations on this offer.